As pro-China elements in the media and on Wall Street warn of a “trade war” and wring their hands over President Trump’s tough trade stance with a Chinese government that has been eating our lunch for decades, some of those same forces are waging a different type of war right here at home. That would be the war over whether to mandate a federal government takeover of a project to implement the next generation of 5G wireless internet service. Ironically, the same crowd that advocates continuing to play the patsy in trade negotiations with the People’s Republic is using the threadbare argument of national security to push for a government takeover of the cellular internet. It is a government takeover plan Ajit Pai and the Federal Communications Commission (FCC) should reject out of hand. The argument goes that privately-built 5G networks would be so susceptible to Chinese hackers, that the government needs to build out America’s 5G infrastructure on its own. It’s just the latest iteration of an argument the pro-nationalization crowd has already lost twice when the feds previously rejected their scheme to reduce the number of wireless providers. The “China is winning the race” argument is a transparent ruse to promote a government owned and operated 5G system. Development of the new network, the fifth generation of internet connectivity, is a big deal, and can potentially be a major driver of economic development, particularly with regard to giving start-up companies a boost. The wireless industry supports 4.6 million jobs and contributes $400 billion annually to the economy. Modernizing 5G regulation promises 3 million new jobs and $500 billion in economic activity. All this is jeopardized by the plot to have bureaucrats in Washington take over the project. Part of the argument being employed is urgency: while the Chinese government has not made any official announcements yet with regard to spectrum and 5G ramp-up plans, the big network vendors are starting to pump up the tires on the supply chain. Our checks with semiconductor and component vendors confirm that the 5G ramp-up in China is expected soon, and it will be bigger than anyone expected. It is the specter of that hegemony that has stirred significant confusion among policy makers, many of whom are legitimately concerned about China’s encroachment and threat to our security. In recent months, that concern has been exploited by leftist ideologues here in this country — some still desperately clinging to positions of power after Trump’s unexpected electoral triumph. 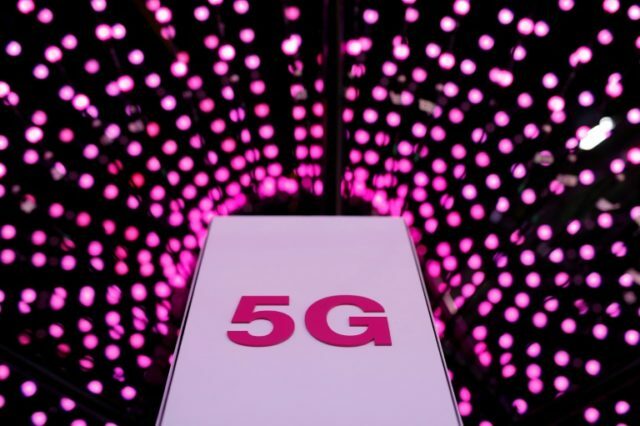 With help from the media, they seem to have succeeded in reviving a discredited argument that now seems to have some measure of support from both sides of the aisle: for nationalizing the 5G project in which so many private companies are already now heavily engaged. Obama’s FCC Chairman, Tom Wheeler, who played a central role in foisting his private-sector crushing version of net neutrality rules on the American people, is at it again pushing the even more outlandish idea of a government owned and operated 5G system in his new role as a visiting fellow for the liberal Brookings Institute. And it is impossible to be too alarmist about this prospect. It would involve such a vast government takeover of a private sector enterprise that it would even make proponents of a single-payer nationalized health care scheme shudder to contemplate. Of course, in the Wheeler view of the world, and the societal transformative reality the construction and operation of such a 5G program would take, it would literally drain the private sector of both employees and resources and reallocate them to the government sector — a crowding out effect that would send ripples through the markets and almost assuredly stymie investment in private sector companies that are both ready and willing to undertake the project. Furthermore, the current privately-built 4G networks will be the foundation of the next generation of networks, and they cannot be dissected, even by government fiat. The proposition of a 5G network without the backbone of 4G is simply impossible and would require government taking of private property. Even Obamacare didn’t do that. Stopping the backdoor socialism of a scheme for government ownership and operation of a key part of the private sector should be an easy lift for this administration and Republican supporters of American industry in Congress to make. Let’s hope they triumph. Robert Wasinger served in senior advisory and liaison roles in President Donald Trump‘s campaign and transition team, after extensive experience on Capitol Hill.